In the UK, the deceased were traditionally buried, although in recent years three out of four Brits opt for cremation over burial. With the rising population, increased funeral costs and a lack of burial space nationwide, there are a range of burial alternatives that are becoming mainstream. These include natural burial, ecolation, and of course, cremation. Once a body has been cremated, the ashes can be scattered, placed in an urn, cast in blown glass, or compressed into memorial diamonds. Turning ashes into beautiful diamonds in the UK is now a popular process that many are now choosing to commemorate the memory of their loved ones. Extracting the carbon from either ashes or hair using a chemical agent. The collected carbon is then heated to a high temperature, which turns it into graphite. A specialist machine is then used that mimics the high temperature and pressure of the earth’s upper mantle where natural diamonds are formed. The graphite is placed in the machine where it is compressed and heated to 1370°C. In nature, diamonds are produced over of millions of years. The process of cremation diamonds however, only takes several months. Depending on the amount of carbon that was in the remains, the graphite will remain in the machine for weeks or even months. The more time it is left in the high-heat press, the larger the diamond grows. Once the memorial diamonds are formed, they are cooled. They can then be ground and cut into a certain shape, or even engraved by a laser. Only a select few specialist companies can offer this unique creation process of turning ashes into diamonds in the UK. Swiss company LONITÉ is a leader in memorial diamonds both in the UK with a branch office in London, and across the world. With the latest technology required and diverse expertise, LONITÉ can produce the highest quality diamonds. Friends and family members usually want to keep memories of their loved ones around and honour them after they die. Memorial diamonds in the UK are the perfect way to do this. Traditional burials are expensive and can negatively affect the environment. Embalming fluid used on bodies often contains dangerous carcinogens that can cause disease and respiratory problems. Once decay sets in, this embalming fluid and any metals used to make the coffin can seep into the surrounding ground, reaching water systems and soils. Cremation and making unique diamonds from the ashes of a loved one is a much safer and practical alternative with far fewer impacts on the environment. Changing ashes into diamonds in the UK is not only for humans, it can also be done as a keepsake for our furry loved ones too. After all, they are considered as part of the family. Memorial diamonds can work for any kind of pets, from cats and dogs to birds and horses. To turn your pet’s ashes into diamonds, you will need to keep a minimum of 200g of cremated ashes or 10g of the pets’ fur. For some, pets are like a member of their family and it is a beautiful way to keep their presence and memory alive. Purchasing a Memorial Diamond in the UK: How Much Will It Cost? The cost of making ashes into diamonds in the UK will vary according to a number of factors. The colour, size, and cut of the stone can affect the ashes to diamonds cost. 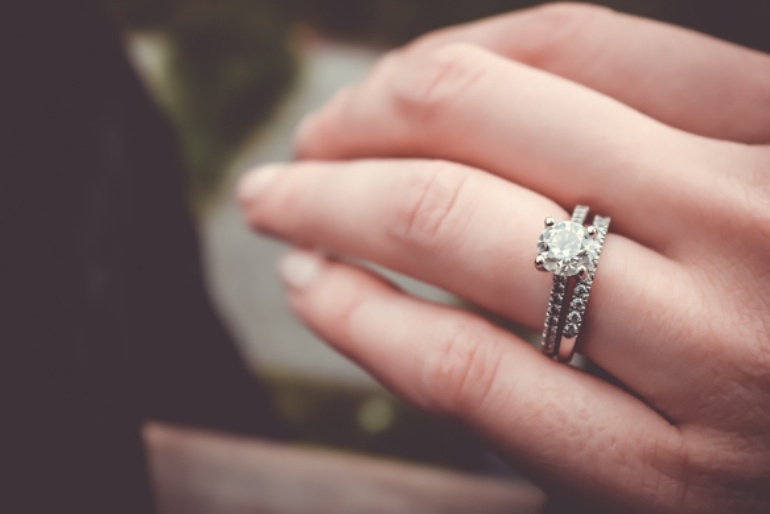 Prices of cremation diamonds in the UK can range from £1400 to up to £15,600. The size of diamonds made from ashes can start at 0.25 carat up until 1 carat. Memorial Diamonds appear to be a less expensive and a less complicated alternative than a traditional burial where the first cost can go up to £5000 for a casket only, not counting the current rising cost of the burial spaces in cemeteries. Overall, it seems that producing ashes into diamonds across the UK has become all the rage and rightly so. The process of turning ashes into diamonds is more affordable, simple and less harmful to the environment compared to traditional methods. More and more people may one day change their ashes to diamonds and a loved one can carry them or even pass the keepsake from generation to generation in their family.